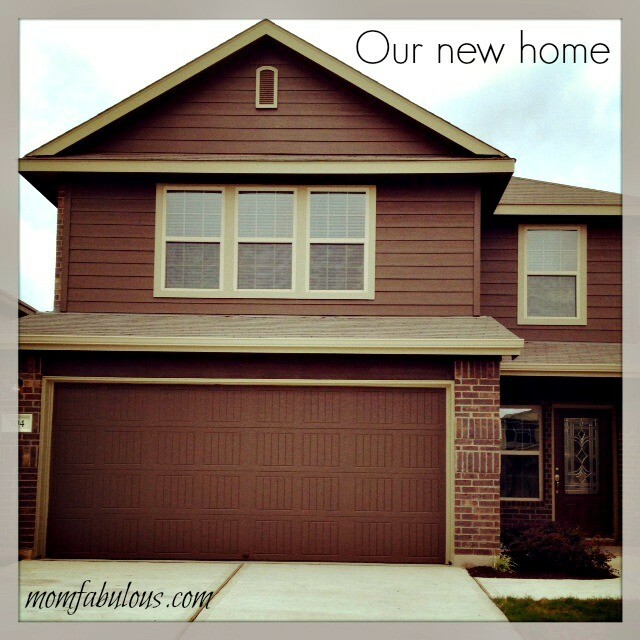 We’ve been in our new home for over 2 years now. Before we moved in, and the days following the move getting all unpacked and settled, I had this dream of what our home would look like. I knew how I wanted it decorated, the colors I would use and how organized it would be. I set to work immediately and got the downstairs looking just the way I wanted it, and then it hit. My decorating budget was gone, my time needed to be spent elsewhere and my motivation was lost. 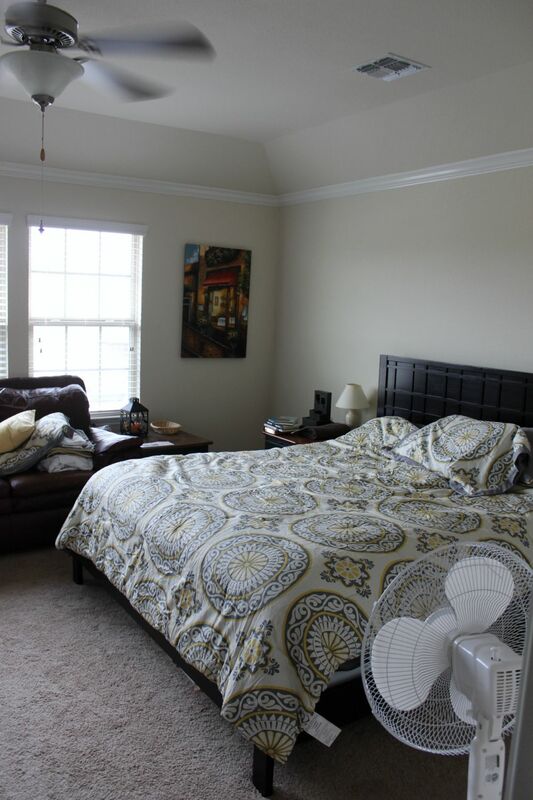 Needless to say, the upstairs was put on the back burner, which included our master bedroom. A couple of weeks ago, a new book entered my life and I am gung-ho and on fire to get our entire house organized and decorated so I can move on with life feeling at peace with our home. 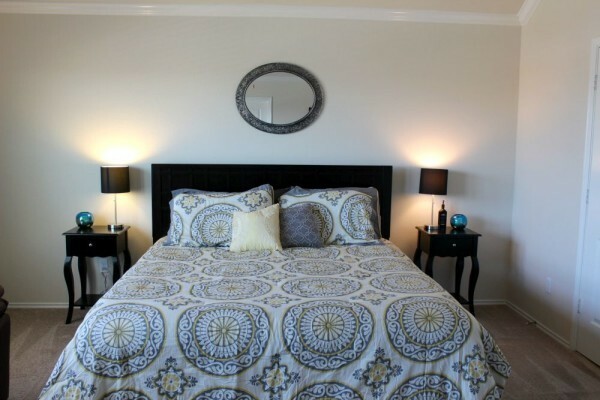 I knew I wanted to start with the one space that tends to be forgotten – the master bedroom. 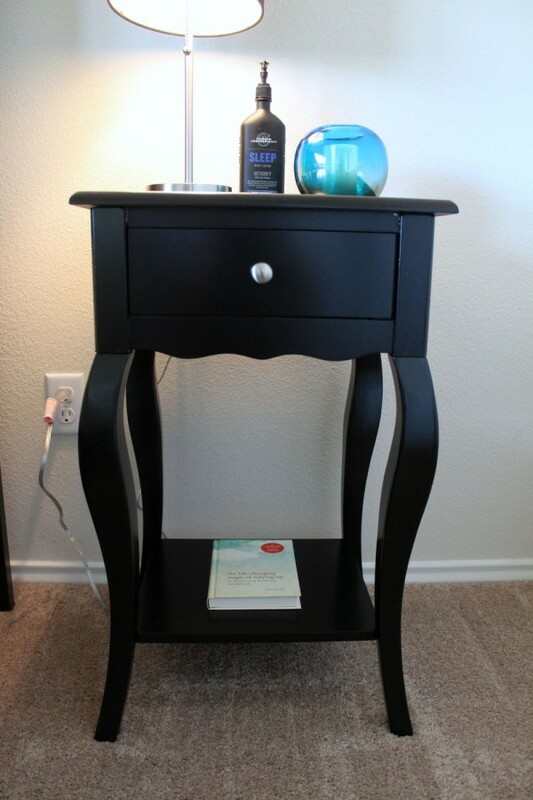 I’ve been researching master bedroom organizing ideas, made a list of furniture and decor pieces I wanted to add and then headed to my first stop when doing a redecorating project – Big Lots. I am so pleased with how it turned out! It is cozy. It is clean. It is so incredibly relaxing. Would you like to see the “Before” pictures? (I love these!) Drum roll please…. The book on organizing I’m reading says to surround yourself with items that spark joy. The mismatched end tables (okay, one’s a bookshelf), piles of books, mismatched lamps, and lack of decor and flow were not bringing me joy. What does bring me joy? A simple space that feels cozy. A space that I look forward to being in every night, and where I can get some much needed rest. Decide the purpose of the space. Is it just for sleeping? Do you also like to read in bed? Is it your quiet place to go to during the day when you need some time alone? Make a list. This will help you decide what needs to stay, what needs to go and what needs to be added. 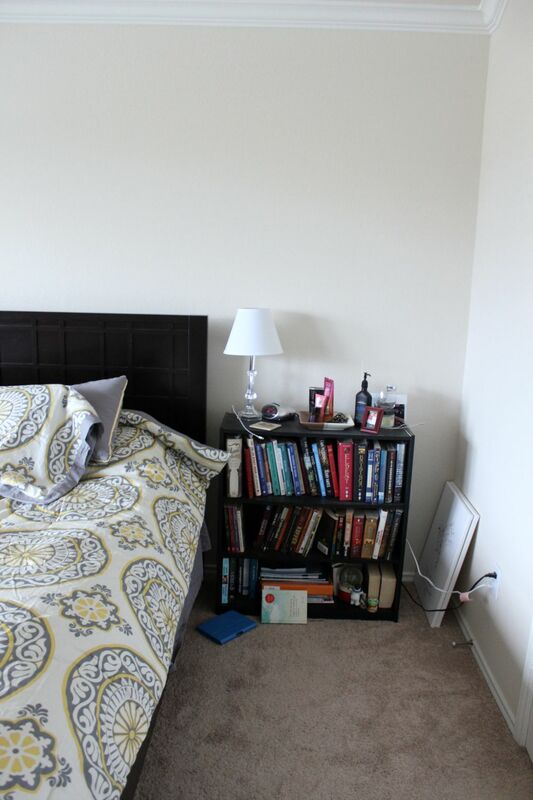 For me personally, our master bedroom is the place where I sleep, my husband and I reconnect after a long day, where I relax and read books/watch movies/listen to music and because of logistics, a corner of it is my office space. Now that you know the purpose of your space, get rid of, or relocate, everything that doesn’t fit in with your room’s purpose. Maybe there’s a pile of items you’ve been meaning to donate or get rid of. Immediately remove it and take it to your car. Or maybe there are piles of kids toys, clothes or books. If it doesn’t fit the purpose of your room, doesn’t spark joy in you, or you don’t use it – get rid of it. You know that bookshelf by my side of the bed full of books? Well, over half of them weren’t mine and about 1/4 of them were sent to me to review and I was going to “get to them someday” and the other 1/4 were books I love. The top of my bookshelf was full of lotions I didn’t use, candle holders with no candle and a number of other items collecting dust. I went through every single items and got rid of 95% of it. What an amazing feeling! Make a list of what you want to purchase for your space. I knew I wanted to purchase new side tables, a mirror for above our bed, lamps, candle holders and flameless candles (because I wanted the ambience, not the overpowering smell). 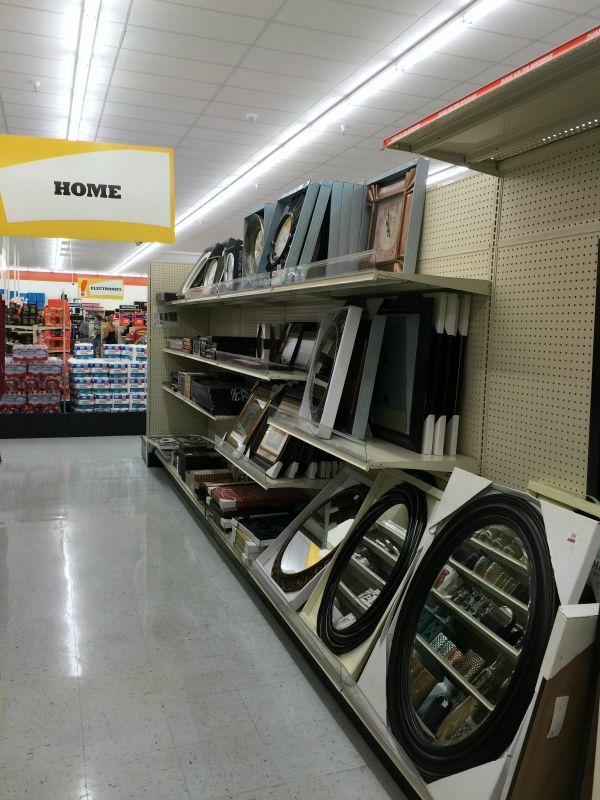 I headed to Big Lots and got to shopping! When we first moved into our home I used Big Lots as a resource for my decorating needs. I purchased artwork for the walls, candles, a super cute bicycle for the entry way table and a clock for the living room. I love the quality and the prices I find at Big Lots, so off I went with my list for our master bedroom. 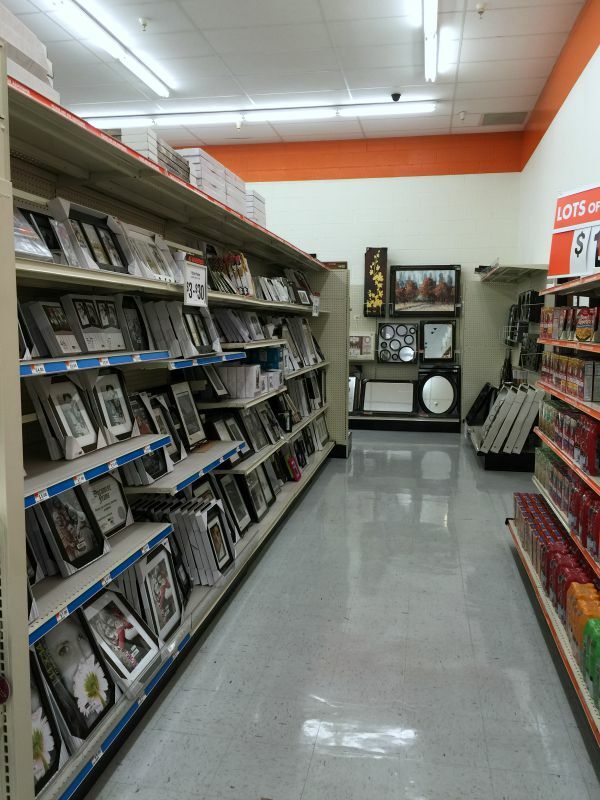 Here are a few snapshots from our local Big Lots store. 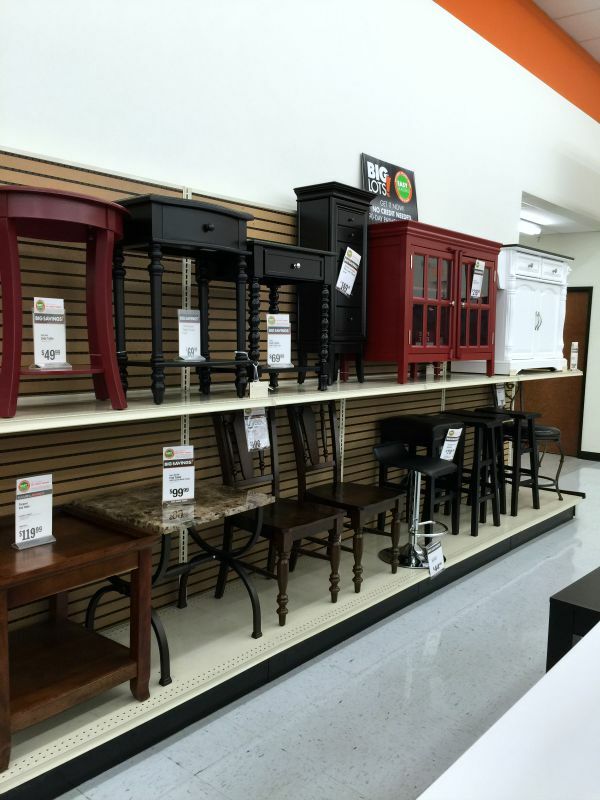 Just keep in mind that styles and assortment vary by store while looking at these photos. 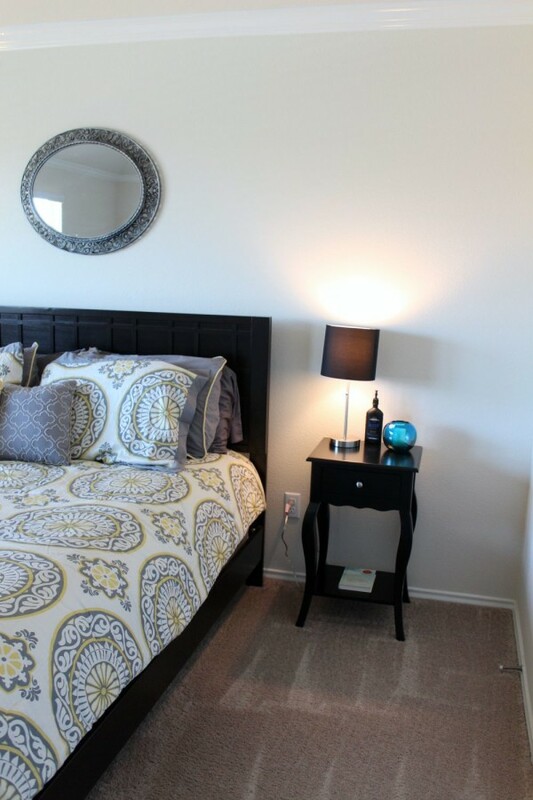 Add elements to your bedroom that bring in a calm ambiance. Since the master bedroom is usually used most for getting a good night’s sleep, bring in items that create a calm ambiance to the space. 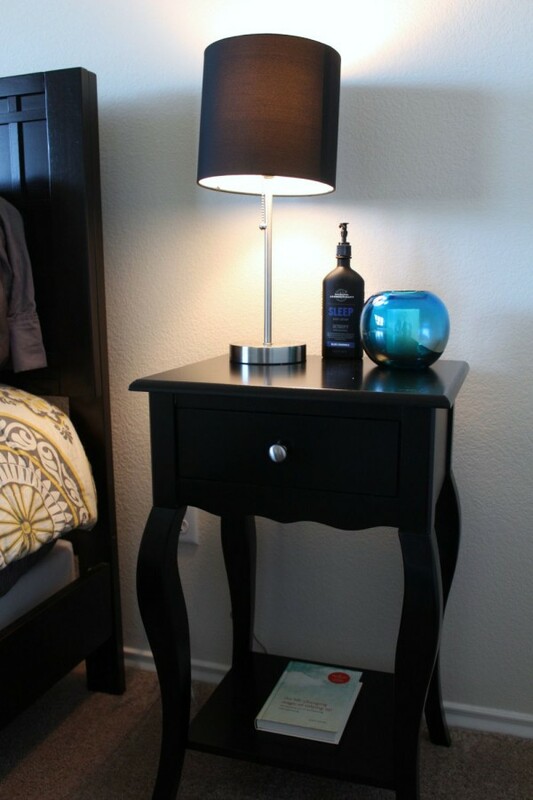 For example, lamps provide lighting that’s not nearly as harsh as the overhead lights. Flameless candles provide a little bit of glow and can be both romantic and relaxing. Put lotions and/or oils that help you sleep in your nightstand drawer, and a book that you’re currently reading within easy reach. Personally, items that match, and a cleared space, help bring the whole look together. 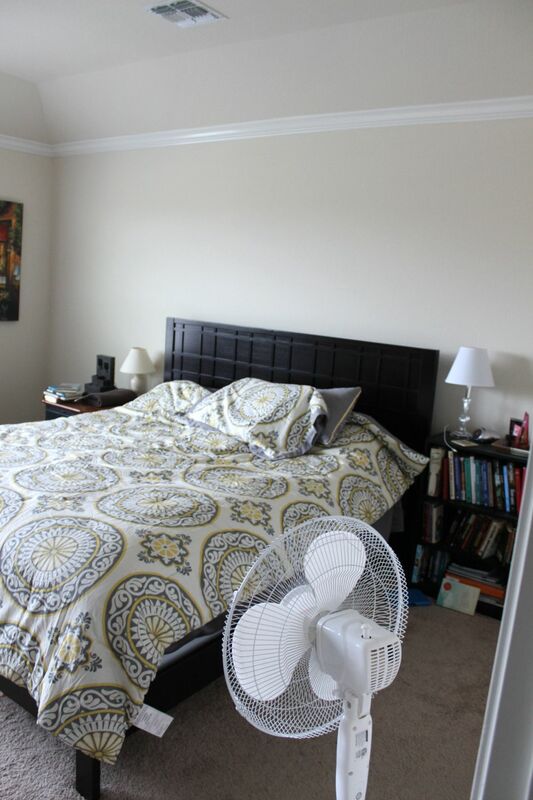 Would you like to know what I ended up purchasing and how the room turned out? 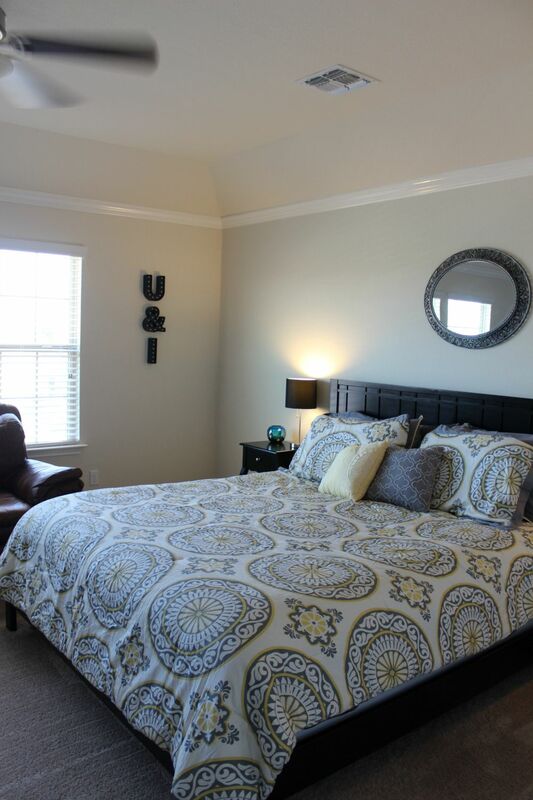 I absolutely love our redecorated and organized master bedroom! The blue candle holder (it is such high quality and heavy! 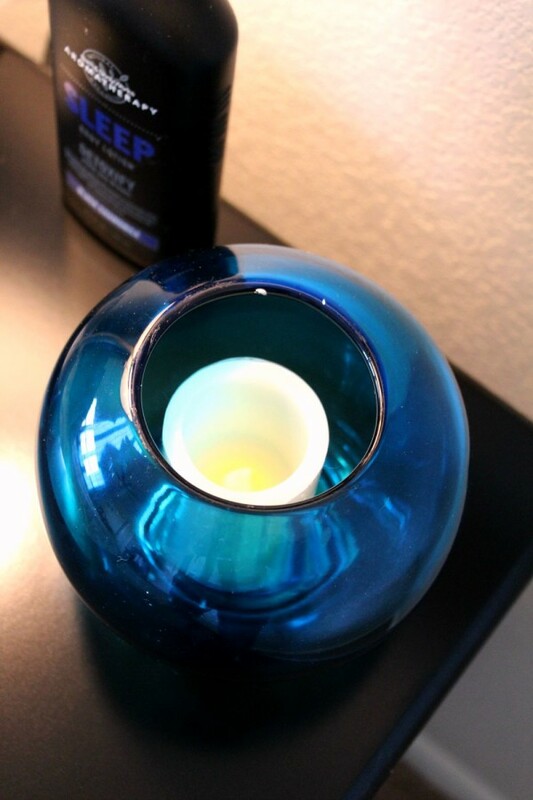 ), with the flameless candle adds just the right amount of color and relaxing ambiance. I also love the gray mirror above our bed. Bonus: it matches the gray in our bedding. So there you have it! What do you think of our new space? We are so in love with it. All three of our kids love it too and are slightly jealous. Their rooms are next! This video pretty much sums up how I feel about our new space. Have You Ever? Get Out. Right?! 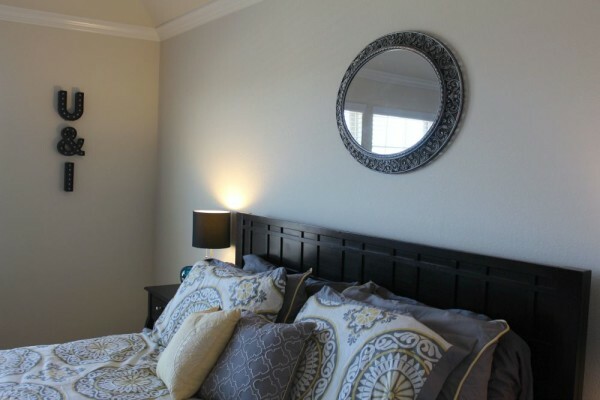 Could your master bedroom or another space in your home use some love? Clear the clutter, take away items that don’t spark joy, shop for items that add to the space and its purpose, and then enjoy your new space.